Triathlon coach with experience coaching performance athletes focused on competitive performance as well as non-competitive athletes who are involved in triathlon for health and lifestyle benefits. My aim as a triathlon coach is to build an environment which allows athletes to achieve their peak race performances. This is done by taking an athlete-centric approach which takes into account areas of the athletes physiology, lifestyle, nutrition, work and family commitments, as well as short term and long term goals.I take a collaborative approach to ensure that the athlete is part of the planning process. Just as each individual is unique, I believe training programs should reflect this. Each and every training program provided is customized based on the goals and feedback obtained from the athlete. As a coach I believe in continual development.I have spent many years building my coaching knowledge. 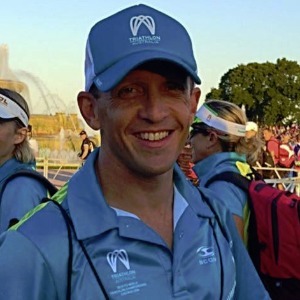 I am a Triathlon Australia accredited Performance Coach and a Strength and Conditioning accredited coach , I have completed the official Ironman Coach certification and Training Peaks Certification (Level 2) and am currently undertaking my Masters in High Performance Sports. My journey as an athlete has spanned over 14 years and has included representation internationally at World Championships as well as local races for fun!. I compete in the sprint to Ironman distance as well as many other running, swimming, cycling events as well as Off-road triathlons. Success. Coach David Procida has been notified of your message. To hire David Procida as your coach, select the coaching service that is right for you.